The owner Michalis and his family manage the hotel for several years with Cretan charm and hospitality. They will give you information about the Cretan tradition and Greek cuisine. 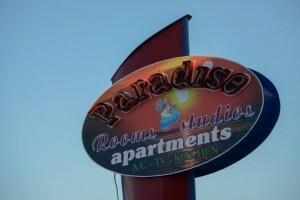 You can be sure that you will spend an unforgettable vacation here. Several times a month they organize a barbecue for their guests. Like it is used in Greece, and the owners having typical Greek mentality, children are usually spoiled and very welcome. 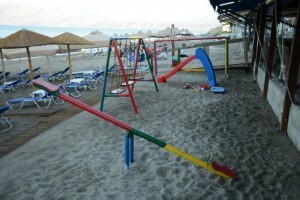 The hotel has a small playground next to the sunbeds on the beach. Since 2011 we tooke away the stone – plates in the sea and we have filled them with san. This makes it a safe entrance into the sea. The residence is quiet and comfortable but also centrally located. You can find all the shops, cafes and restaurants on the beach road. Holidays and relaxation in South Crete, right by the sea. A dream for the whole family.